Bangladesh Canada Association, Windsor-Essex (BCAWE) is hosting this colourful multicultural event that includes more then twenty different ethnic communities in greater Windsor region. The main idea is to promote diversity of language and to promote multiculturalism. 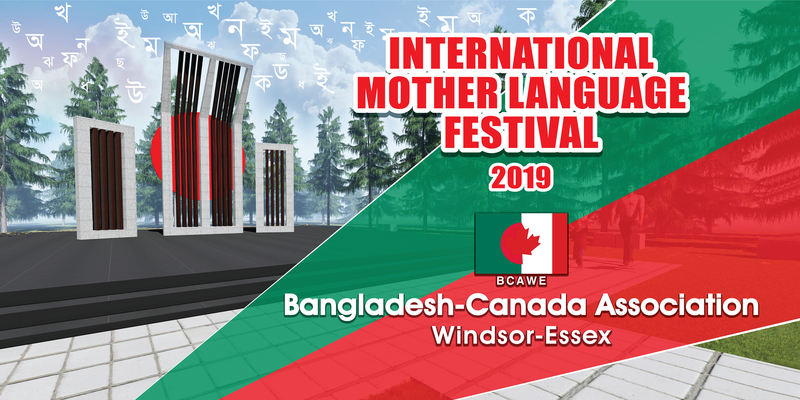 Performer groups of different community organizations which includes Bangladesh Canada Association (BCAWE), South Asian Center, Chinese Association of Greater Windsor (CAGW) and African Community Organizations of Windsor (ACOW) will do dance and other performances in this event. The event will start with Windsor City Mayor Dr. Drew Dilkens inaugural speech. No admission fees to attend the event. Tea/Coffee and snakes should be served by the host for free. The event should continue for 3 hours.